Seagate's Wireless Plus offers a good way to stream media content to multiple mobile devices, whether you're at home or on the road. It's a little cumbersome to set up, but it does its intended job very well. And you can use it as a regular external hard drive, too. Seagate's Wireless Plus external hard drive is designed to be used primarily with smartphones and tablets. It features a 1TB capacity and a USB 3.0 interface, as well as 802.11n (2.4GHz) Wi-Fi and an internal battery. 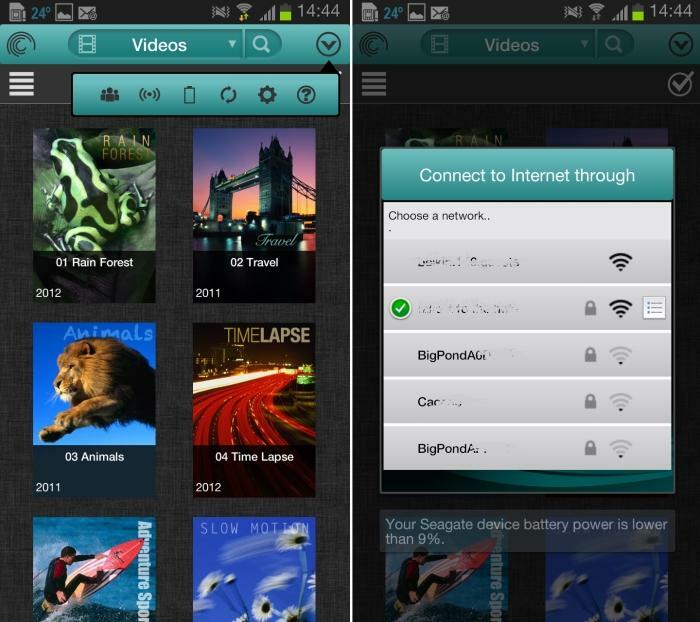 You can use it anywhere to stream content to a mobile device and it will even handle multiple streams simultaneously. But it is a little clunky to set up. Physically, there is nothing that makes the Wireless Plus immediately stand out from the crowd. It looks like just another portable hard drive from Seagate, complete with a swappable USM (universal storage module) interface. The only physical differences that are noticeable are a power button on the side (one that feels terrible to use as you never know if you've pressed it) and an extra couple of status LEDs on the top — the power LED and the Wi-Fi LED. It does feel a little heavier than a typical 2.5in, portable drive, but that's to be expected with the internal battery and the extra circuitry that it houses. The main aim of the Wireless Plus is to be a streamer of content to your smartphone or tablet. It will stream videos, MP3s and photos to Android (version 2.3 or higher) and iOS (version 4.3 or higher) devices. (It also works with Kindle Fire). Because it's battery powered, you don't need to plug it in to an outlet, nor do you even have to be at home to use it. It can be used while you're on the go, either in the car or on public transport — you could easily stream content from the drive to your phone while the drive is in your bag, for example, just make sure it's password protected. Additionally, it supports multiple streams, so you can easily use one drive to deliver content to two or more mobile devices. You can also use the Wireless Plus as a backup drive to upload your photos and other file types from your phone to your hard drive. How to do this isn't immediately clear though, and we think the app could be made a little more intuitive in this respect. Setting it up isn't hard, but it is a little clunky. 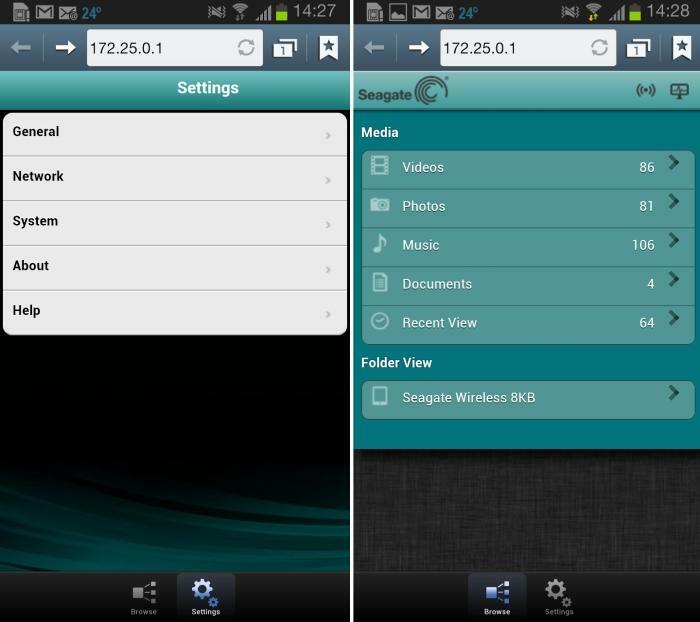 You have to download the Seagate Media app for your Android or iOS device and, making sure your Wireless Plus drive is switched on, you need to connect your mobile device to the wireless network that the Wireless Plus drive emits. Basically, you need to create a direct connection from your mobile device to the hard drive. Think of it as a little hotspot. If you connect to the drive's wireless network but the app isn't installed, you can access the drive by firing up your Web browser, so the app isn't technically necessary. By default, the wireless network name includes the words 'Seagate Wireless' and it's unencrypted. You have to connect to this network as you would any other normal wireless network through your mobile device, and then run the Seagate Media app to configure the drive properly. By this, we mean that you need to go into the app's settings to create a password for it, and also to configure pass-through access to your regular wireless network so that you can still get onto the Internet while connected to the Seagate drive. It's the last part that's especially clunky. You have to click on the Wi-Fi icon from the app's drop-down menu, and then select the Wi-Fi network that you want it to connect to. Once you select your network and put in your password, your mobile device will disconnect from the hard drive and then re-connect to it. It took about a minute for the connection to complete and for files to once again appear in the Seagate Media app's list. This function worked well, although browsing the Web through the drive was sometimes noticeably slow — when trying to view YouTube videos, for example. You have to go into the app's settings in order to create a pass-through connection to your regular Wi-Fi network so that you can continue to access the Internet while conncted to the drive. We noticed that our choice to have the drive connect to our regular wireless network wasn't remembered. We had to go back into the settings each time we reconnected to the Seagate drive in order to tell it to connect to our wireless router, otherwise we were not able to access the Internet while connected to the drive. This made the overall user experience a little painful and we hope it's something an app update can fix. Once the Seagate drive is connected to your regular wireless network, you have the option of allowing other computers on that network to view the Seagate drive's contents. We found this to be very handy, as we were than able to use the Seagate drive to deliver content not only to mobile devices, but also to laptops and desktops that could see the drive through the Windows Network. It was also easy to add content on-the-fly without having to re-connect it to a computer via USB, albeit slow with a wireless transfer rate just under 3 megabytes per second. (When you connect the drive to a computer via USB, the wireless function is disabled). Through the Seagate Media app on a mobile device, you are able to see any content that you have placed on the drive, in any folder. It's essentially a file browser. The app sorts all the content on the drive according to its type, and you can simply select video, music or photos from the drop-down menu in order to access that content. This organisation is convenient, especially if you're like us and can't organise your media properly on your own. However, you can also browse the drive by looking through its folders. The app sorts files so that you can easily access them according to type. You could also click on the drive to browse folders manually. Files will show up in a long list, but luckily you can use the letters column on the right side to sort through the content alphabetically — you can easily jump to videos that begin with 'P', for example, without scrolling all the way. Furthermore, you can change the way content is displayed by opting for a tile view rather than a list view. 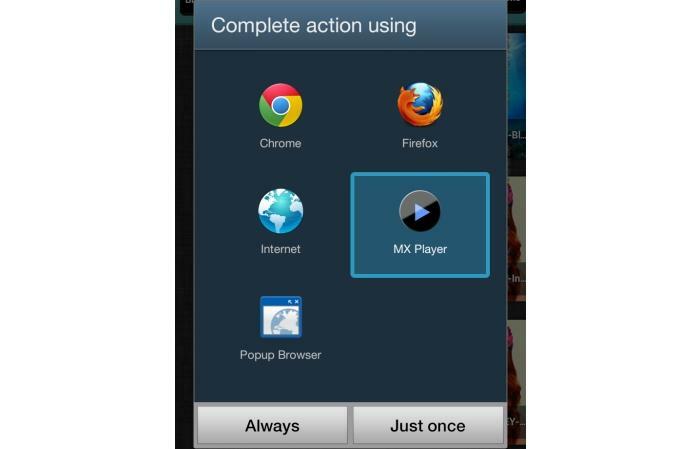 You'll be able to play any media that your mobile device supports. By default, we were able to play most H.264-encoded MP4 files, as well as most Xvid-encoded AVI files in our collection without any problems on our test devices (a Samsung Galaxy Note II and an LG Optimus G). Not all of those files played though, and MKV files couldn't be opened either. This was remedied by installing a third-party media player from the Google Play Store. We used MX Player, which then allowed us to watch everything we wanted. The Wireless Plus' battery is meant to last ten hours, according to Seagate, but this will depend on your usage. We got 4hr 15min out it when we used it to stream standard-definition video files to our two Android devices simultaneously. It can be charged via a wall adapter that's supplied, and you can continue to use the drive's wireless function while it charges this way. You could also charge it via USB, but this takes a lot longer and it also disables the Wireless connection. There is a setting in the app that shows you how much battery power is left, and a message also pops up on the screen (and the indicator LED on the drive goes red) when the battery is critically low. We are pleasantly surprised with this drive's abilities, and even though its configuration process is a little involved, it's a reliable product that does the job it's supposed to do. It was convenient to stream files to Android phones — especially large files that we didn't want to copy to the devices' local storage. Once we installed a player that can play everything, we didn't have any issues viewing any types of files. Streaming to multiple devices simultaneously was also easy and reliable, and we had success streaming at up to 20m away from the hard drive. It costs $249, and with a formatted capacity of 931GB, that works out to be 26 cents per gigabyte. A regular 1TB, portable Seagate drive has a per gigabyte cost of about 14 cents. The drive also works with Apple AirPlay and its Seagate Media app is also available for Samsung Smart TVs. It also supports DLNA and can be found by other brand Smart TVs if they are on the same network as the hard drive.